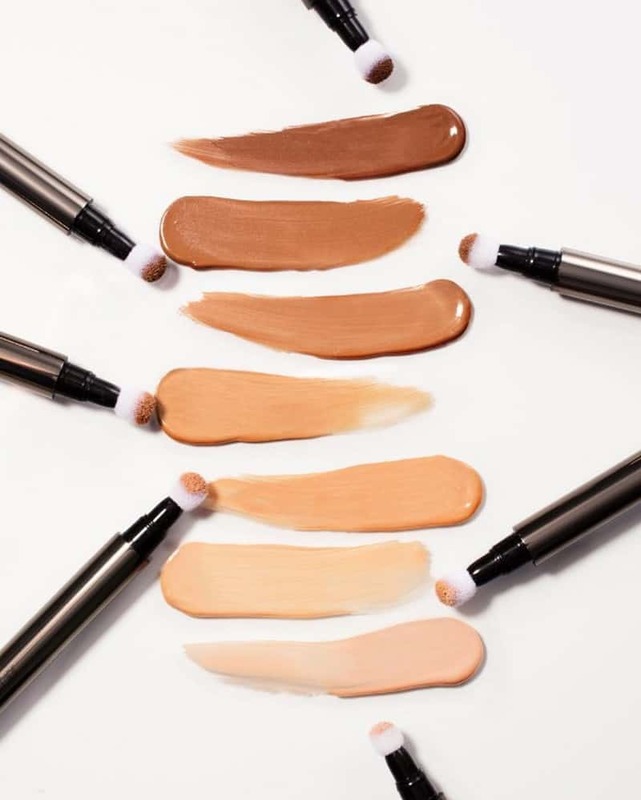 We believe that being aware of what doesn’t work for you is as important as finding the best concealer. You need to know better about what you don’t want in a lace closure concealer. What is lace closure concealer? 1 What is lace closure concealer? 2 What makes the best and the worst lace closure concealer? 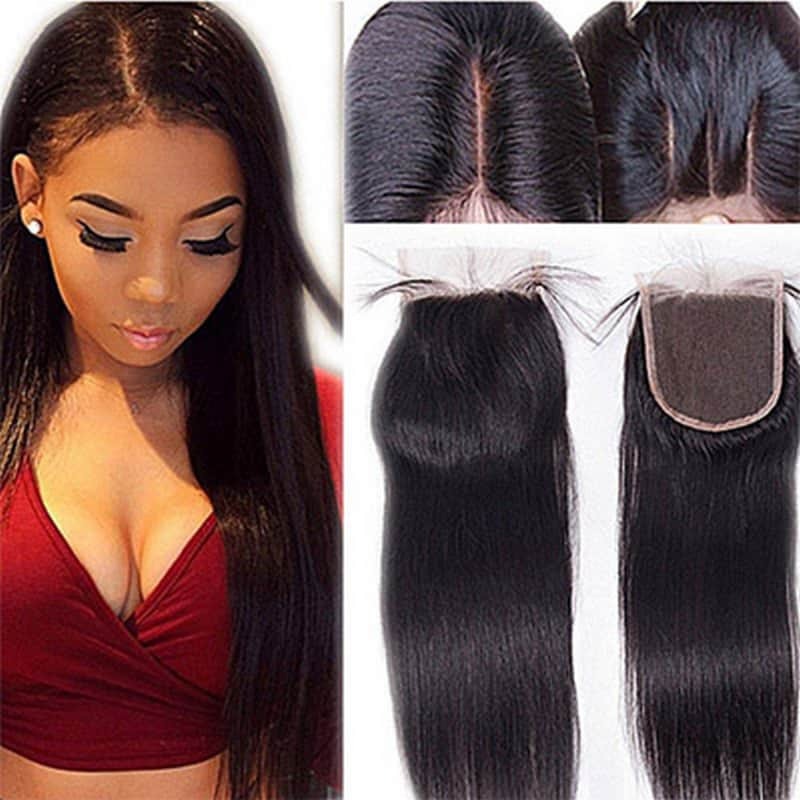 As you wear your lace closure, the last thing you want to reveal is the lace closure, also known as the lacey part attached to the hair. If the lace closure is peaking through your head, people will see that you are wearing a wig, which you don’t want. That’s why you need to cover the lace closure with concealers or bleaching products to hide it. It’s the first thing you need to prep for the wig when you first bought it at the store. The holes on the lace are much bigger than your actual pores on the scalp, so concealers will fill in the gaps to make them look even and mimic your scalp the best way they can. You need to cover the lace closure with concealers or bleaching products. Now, in theory, bleaching your lace closure is nothing hard. Just use the products and go over the closure a few times. Between each time, apply bond protective shield and wait for it to dry. Repeat 3 to 4 times until it becomes what you desire. But in reality, there are parts where you can go wrong with it. Either you apply too much concealer and make it look cakey, or you don’t spread it evenly. And one of the most critical factors involved in choosing the right product for the process. It’s a “make-or-break” factor. So let’s get down into the questions what are the worst lace closure concealer! 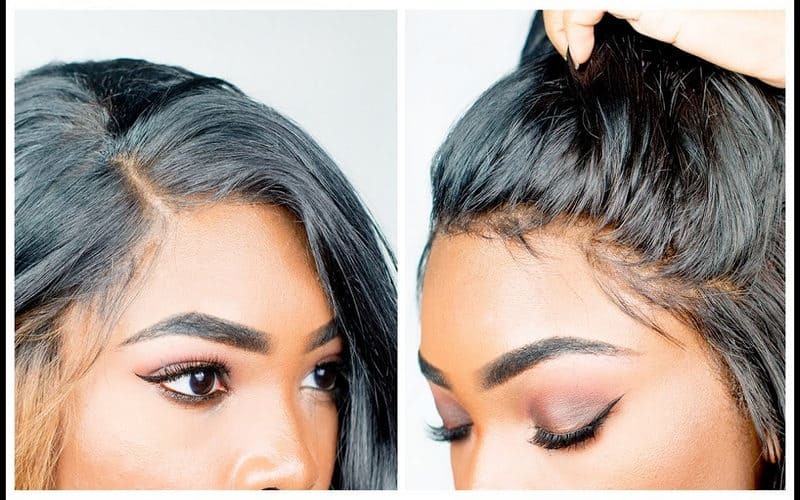 What makes the best and the worst lace closure concealer? Before jumping on the topic, we want to say that it’s wonderful to use your face concealer for lace closure. Instead of going out and buying an expensive concealer just for dying the lace, use your favorite concealer. Or you can use face concealer that already passes the expiry date for this. The choice is yours! This is the number one requirement when it comes to concealer. It’s obvious, right? Concealers need to cover things and make it feel like nothing is there. It must look like skin. Not every concealer can do this. Some think like white cream and does not cover anything. Some even emphasize the holes in your lace closure. This is not good or bad when you choose your concealer. The message here is: make sure you select the color that matches your skin tone. You don’t want to wear anything lighter or darker than your complexion because it will peak through. The worst lace closure concealer is the one that doesn’t match your skin tone. We recommend you look for brands that offer a wide variety of shade range. With that being said, we recommend you look for brands that offer a wide variety of shade range, like Fenty Beauty concealers. It will give you options if you have the tricky skin tone, either too far or too dark. Even if your skin is quite medium, you can quickly pick something that matches both your skin tone and undertone. Is the concealer’s texture silky smooth and spreadable? Or is it dry, patchy and impossible to blend? You need to find something with blendable texture so that the holes are evenly covered. You also want something that doesn’t look cakey, or it will crack on your face. To test on texture, you should read online reviews and see what people say about the concealers. Or you can buy small samples and experiment on yourself first. This will save you some time encountering the worst lace closure concealer. This is the last but not any less critical factor: long-lasting power. You don’t want your concealer to crease or budge throughout the day and reveal the holes. Not a good look! Disclaimer: all opinions on these products are the writer’s opinions. If a mentioned product works well for you, keep using it because makeup is very personal. The main problem with this concealer is it’s so watery. When you conceal the lace closure, you want to do it with the inside part so the concealer can fill the holes well but not affect the actual hair. 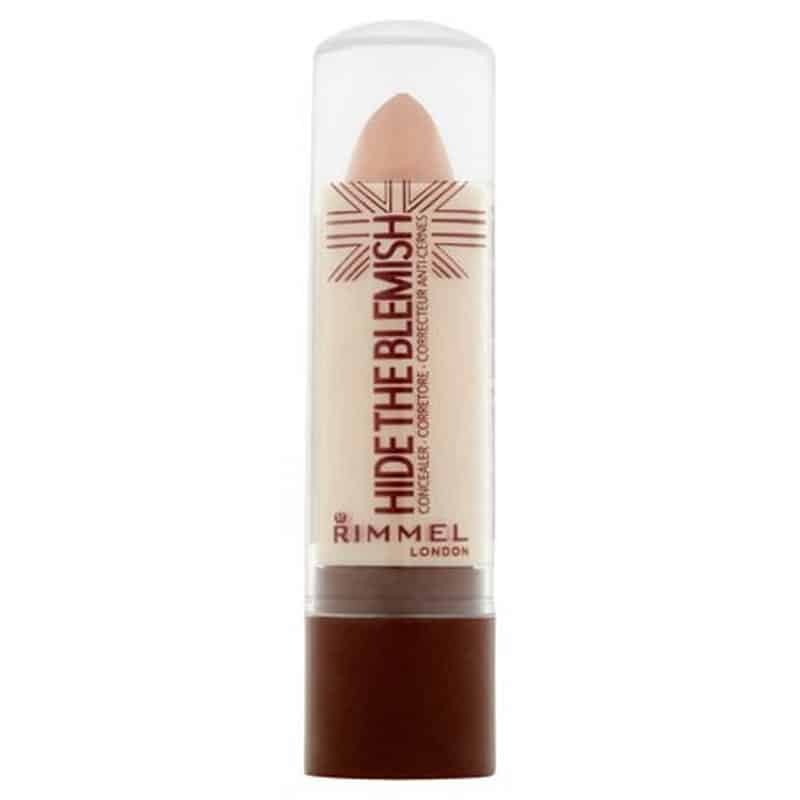 With this concealer, it is so runny that it flows through the tiny holes and sticks to the hair. A big no! The stick form of this concealer makes it hard to blend and sheer it out evenly. It is patchy and looks heavy on your lace closure. The texture is dry, waxy, and nothing that great. If you don’t want to dye the closure in a gross-looking way, do not buy it. This is the perfect example of an expensive concealer that just does not do its job. It does not conceal anything. You can find a much better option with a drugstore price, like the Maybelline Fit Me Concealer. This concealer goes in a pen form when you have to click a lot to get it started. The applicator is a mess as after a while of using; it sheds hair on your lace closure. The product is nothing special. It dries out fast, which is not suitable for blending. The staying power is not very strong, either. This little one doesn’t last very long, doesn’t have good coverage, and doesn’t stay put. It doesn’t do its job very well. Also, one problem with this is the fact that it oxidized throughout the day. It makes your lace closure look so orange – precisely the last thing you want from such a high-end concealer. The quest to find the perfect concealer is not an easy one. But the process of test-and-fail can be fun, too. Experiment all the options, until you can avoid the worst lace closure concealer and find the best concealer to your liking.